My older son had a birthday this past weekend and wanted a Spider Man party. 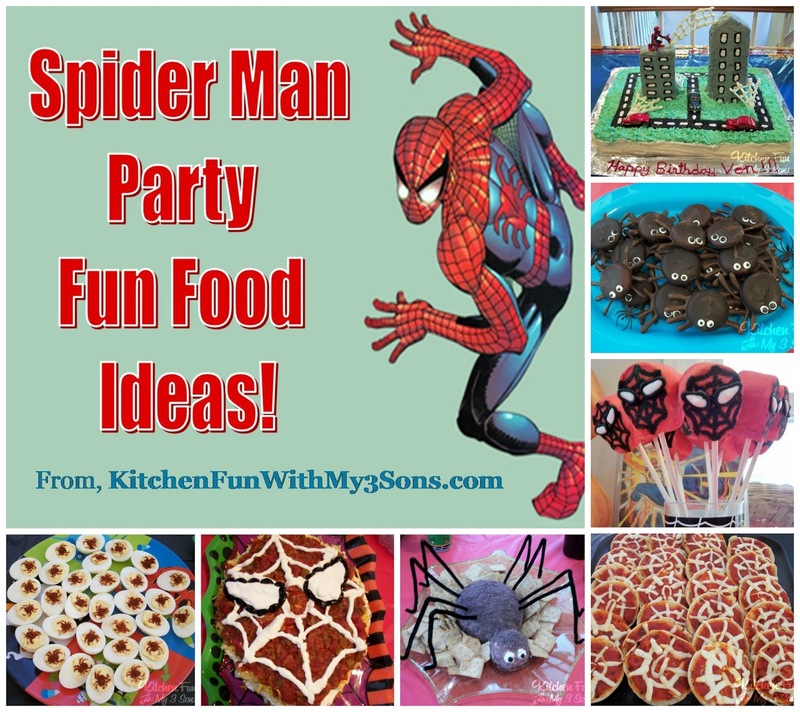 His birthday falls so close to Halloween so we thought would be fun to make all of the party food look like spiders or Spiderman. 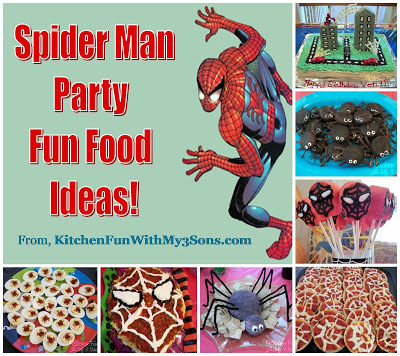 I am sure Spiderman is the #1 party for boys, but we still tried to come up with original Spider Man party ideas. I was pressed for time so some things look a bit sloppy, but at least you will get a idea. I had some left over bags of easter egg marshmallows (with a good date of course) and used them for these Spider Man Pops. 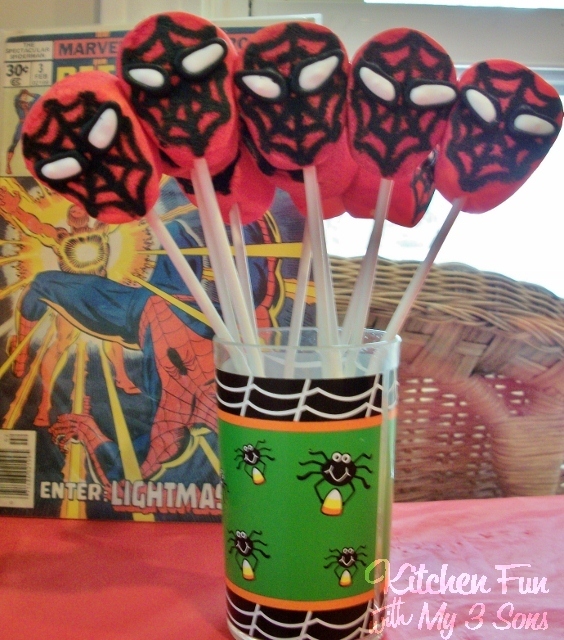 I just sprayed them with red color spray and added the web with black edible marker. The eyes are black and white cookie frosting. 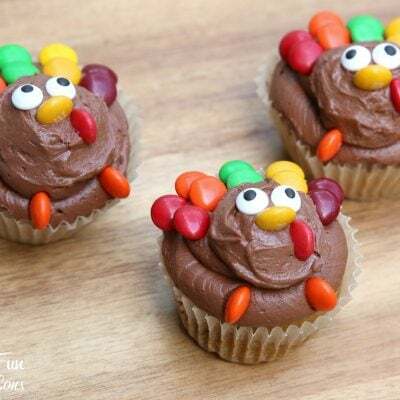 We put them on a pop and these were a definite hit with the kids! We made this Spider Cheese Ball that turned out pretty cute! We just made a basic ranch cheese ball and shaped a body and a head. We crushed blue tortilla chips and rolled the cheese balls in that to make it black. We made the eyes with cream cheese and cut off the ends of 1 black olive for the pupils. We were going to do large pretzel legs, but the boys wanted black legs. I just grabbed some black pipe cleaners and used those. 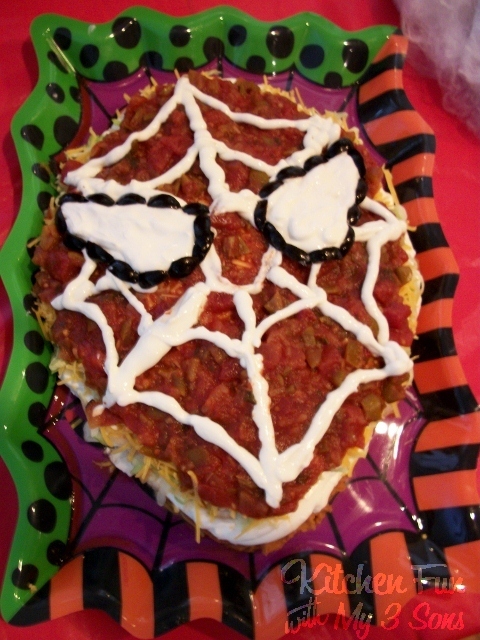 We thought it would be fun to make a Spider Man head using 7 layer dip. I don’t think ours ended up being 7 layers, but we made the top of it salsa to make it red. 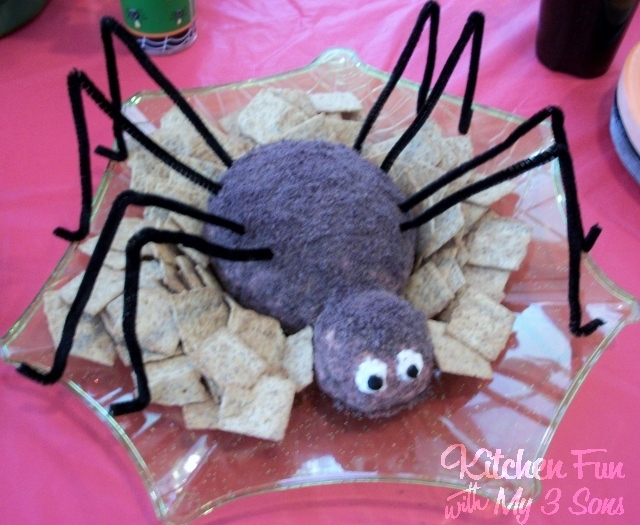 We made the eyes and web with sour cream and outlined the eyes with sliced black olives. We served it with Spooky Chips that we got at World Market…I just love that store! 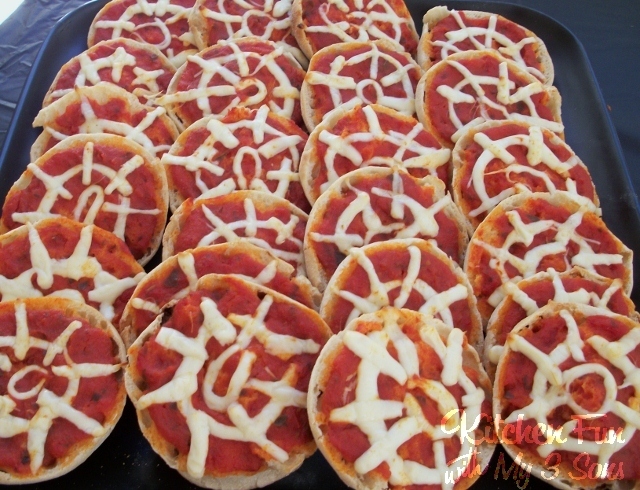 We made these mini Spider Web Pizzas using english muffins, sauce, and string cheese…. We made Deviled Eggs with a paprika spider on top. I just cut out a small spider that I printed from the computer and used that as a template for the spider. 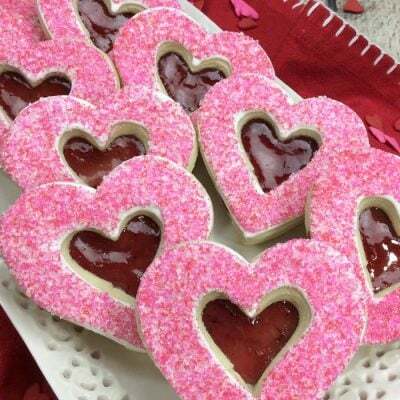 Quick and easy and they turned out pretty cool! 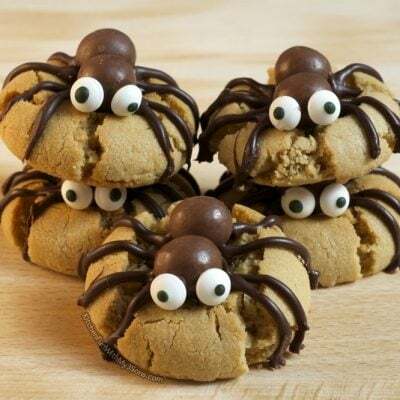 We made these easy Spider Cookies using store bought devil’s food cookies. We just piped on legs onto wax paper. We put the cookie in the middle of the legs and let it dry. I had just a few edible eye balls and used those on some. For the other cookies we just piped on white cookie frosting and used mini chocolate chips for the pupils. I thought those looked better. These would look better if I had more time…I was a bit rushed when making these…. 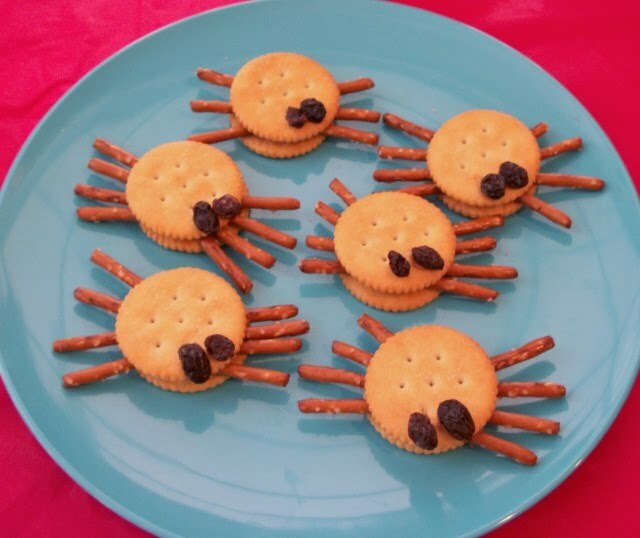 We through in some of these Cracker Spider Snacks for the little ones at the party. This was a quick and last minute thing. 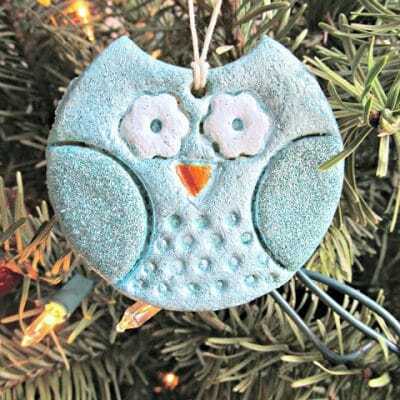 Kids always have fun making these! 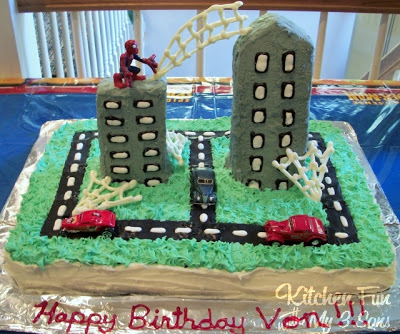 My son also wanted Spider Man jumping from buildings on his cake and this is the best I could come up with not having a guide of some sort. I made the cake in two jelly roll pans lined with parchment paper. I flipped one onto a dish and frosted it. Flipped the other on top of that. 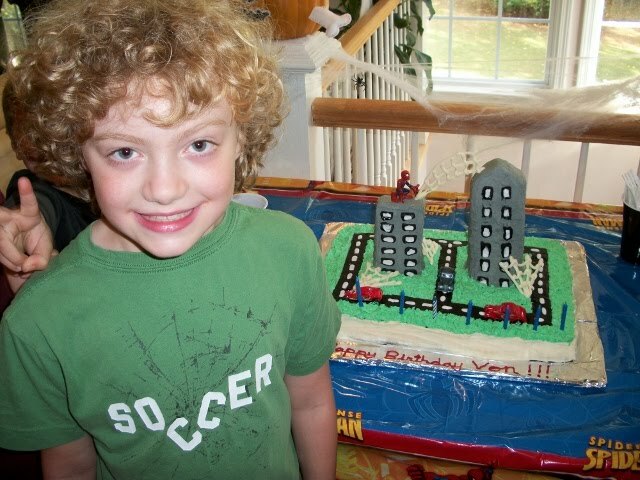 I made the buildings out of rice krispie treats. I made green frosting for the grass and gray for the buildings. I used cookie frosting to make the windows. I broke off pieces of graham crackers and frosted them with black cookie frosting to make the roads. I washed a few hot wheel cars to put on the roads. The webs are white chocolate that I piped onto wax paper. We used one of their Spider Man toys for the top. 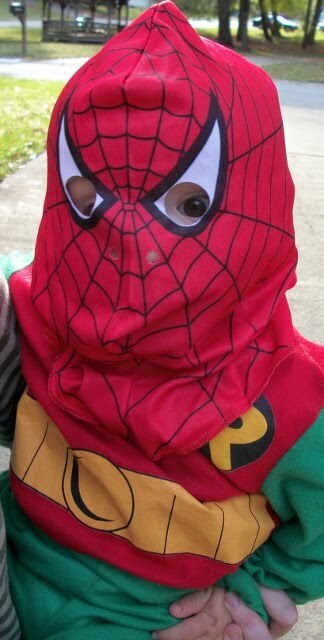 This was a costume party, but my birthday boy was too hot and took his Spider Man costume off. However…his half Robin half Spider Man baby brother had a good time wearing his mask! « Previous PostBlack Bean Soup with Toasted Jack-O-Lanterns! 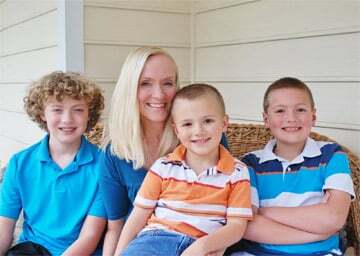 Awesome job from an awesome Mom. I will definitely try these out for the next birthday. 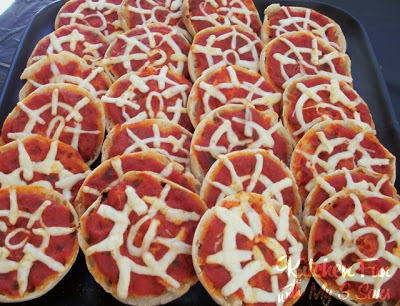 You are very creative with all your spider-man cooking! They all look so COOL! I bet the kids must be VERY HAPPY in this party! I have to learn lots of great party tips from you! You know how to host a party!! What fun! I would have trouble, however eating the spider cheese ball … but I'm sure I could as long as I didn't think about it! I'm very impressed with your cool spider food! Well done! 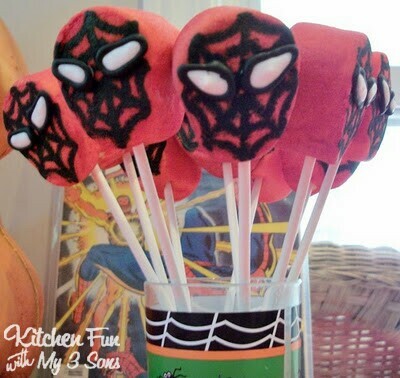 Wow… all very clever Spider Man ideas! And your cake looks fabulous too! What great ideas! 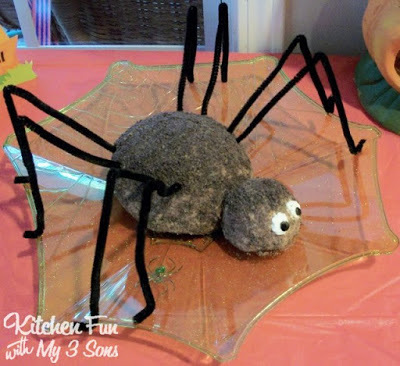 I love all the ways you found to incorporate spiders. 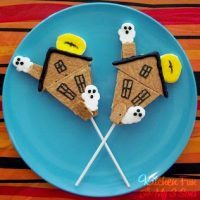 I would love for you to link this to my Halloween Traditions link up! Fun indeed. 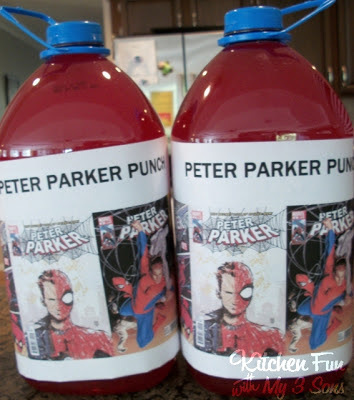 When my 12 year old was little we had a Spiderman party for him. So much fun! 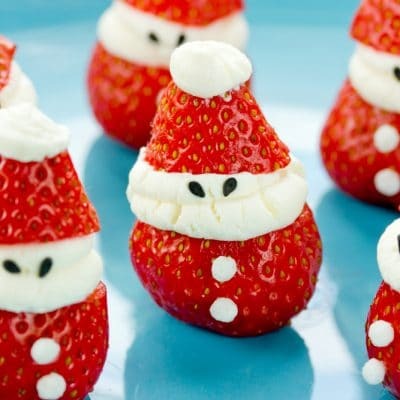 Great food ideas. I am going to share a link to this over on Facebook. Thanks for linking up on my mommy solution meme! Jill, I love all your creative Spiderman inspired ideas! Beautifully done! I'm spotlighting your post on my Facebook page today. Thank you so much for being a part of "A Little Birdie Told Me…" Tuesday at Rook No. 17! Love your blog! I'm throwing a combined star wars / spiderman party for my sons and I'm using so many of your ideas. Thank you! I love the spiderman dip. Could you tell me what you used in your layers and how you got it to stay and not fall apart? Thank you! Thanks..so glad you like it! 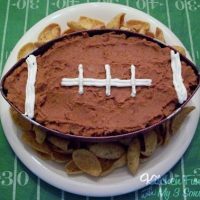 I am trying to remember and I think I layered with refried beans mixed with taco seasoning, sour cream, olives, green peppers, lettuce, cheese, and topped with salsa. Used black olives for the eyes and sour cream for the web. Just add or take away the things your kids like. Mine just stayed put. Hope this helps! Thank you so much for getting back to me so quickly! This is very helpful. I just found your blog on pinterest and I LOVE it. I have two sons, and one is an extremely picky eater. 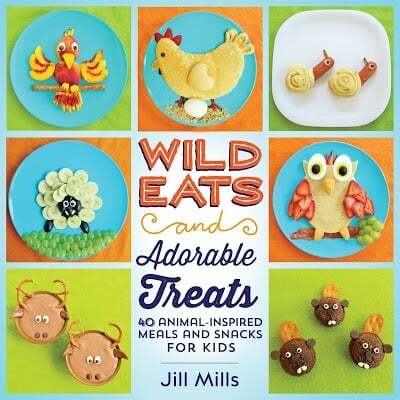 I just love these ideas and think it will really help him try new foods. You are really an artist with what you make! I just layered the dip on a plate and it stayed put. Start with the beans on the bottom and build up from that. We cut out a small spider from a piece of paper and used that as a template. Then sprinkled the paprika on top of the egg inside the spider cut out. These ideas were great! I must have spent a few hours on your blog getting different ideas. Love your creativity. My only problem was I didn't have time to do ALL of them! 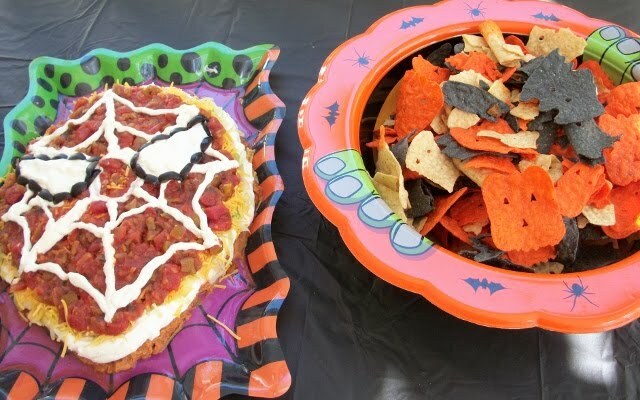 I did do the Spider Man Dip and it was a hit. We did beans on the bottom too and it was just fine – beans, sour cream taco mix, guacamole, cheese, then at the last minute salsa and sour cream. Excellent post! My idea would be to have a pumpkin and spiders only theme and your pictures are great inspirations. Kids would these creepy crawlers. Cheers! Cute stuff. The deviled eggs were such a good idea. 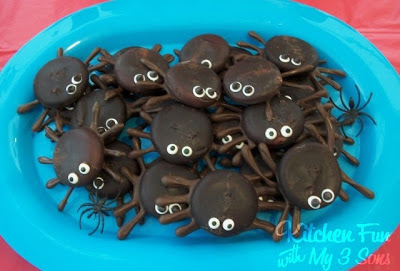 And the spider cookies kind of remind me of the CandiQuik ones but with the legs piped out of chocolate – very cute idea! Such a fun and creative party! 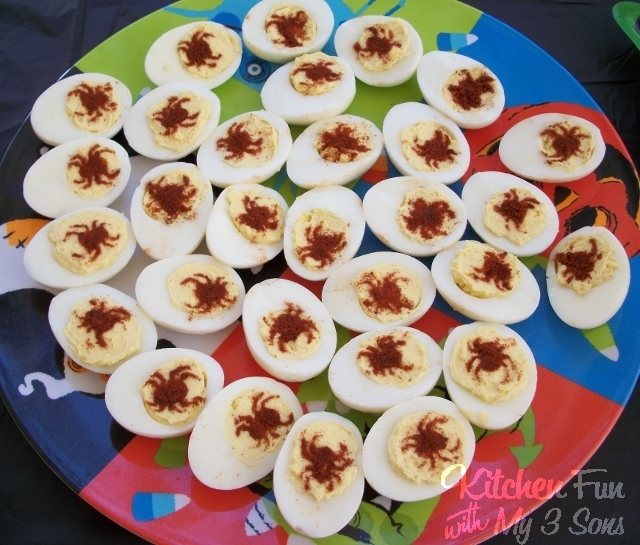 I love those deviled eggs with the paprika spiders. Yeah very creative party theme!! I like your all decorations and party venue. I hope you had fantastic party time there!! Thanks for the cute ideas! 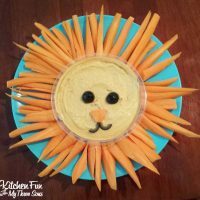 Found your blog through Pinterest as I'm planning my son's Superhero Dance Party (4th birthday)! Yours looked great!